Humans aren't the only ones suffering from the flu this year. United Veterinary Specialty & Emergency Hospital in Campbell has seen about 70 dogs with symptoms and/or known exposure to the flu, according to Stephanie LaPlume, a veterinarian with the hospital. Other South Bay hospitals, including Los Gatos Dog & Cat Hospital, also report seeing dogs with flu. The virus can't be passed on to humans, but is highly contagious among dogs, a veterinarian said. Dog owners are encouraged to vaccinate their dogs and avoid taking their dogs to places where they would come in contact with other dogs. "We are recommending that our clients not take their dogs to dog parks, boarding facilities, doggie daycare, grooming," said Megan Hanken, a veterinarian with Los Gatos Dog & Cat Hospital. "The big thing is vaccination, and being careful of where your dog is going," Hanken said. As with humans, even if the dog were to get the flu after being vaccinated, "it will decrease their clinical signs," she said. Pet owners can contact their veterinarians to ask about vaccination, she said. 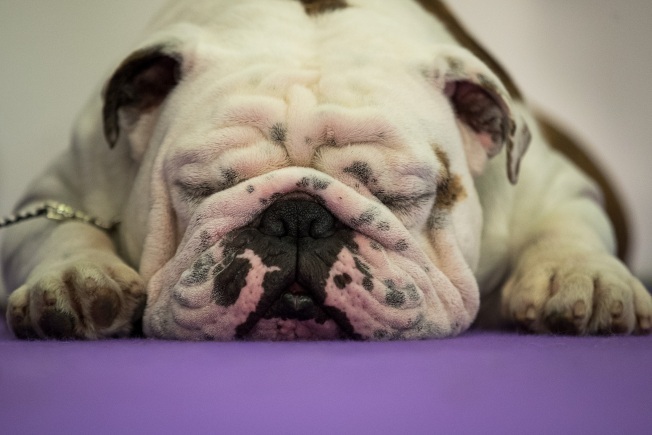 Dogs who have the flu can show mild signs, severe signs or no signs, according to Courtney Campbell, a Ventura vet who is the host of Nat Geo Wild's Pet Talk. "For dogs who have contracted the H3N2 virus, the onset of clinical signs is often rapid, i.e., two or three days," Campbell said. "And for the following 10-14 days, pet parents may see their dogs cough, sneeze, spray nasal discharge, act lethargic, and have trouble breathing. All of these signs can look similarly analogous to a person that has caught the flu," Campbell said. There is some good news, Campbell said: "In some cases, the cough and illness will resolve on its own in a couple weeks."